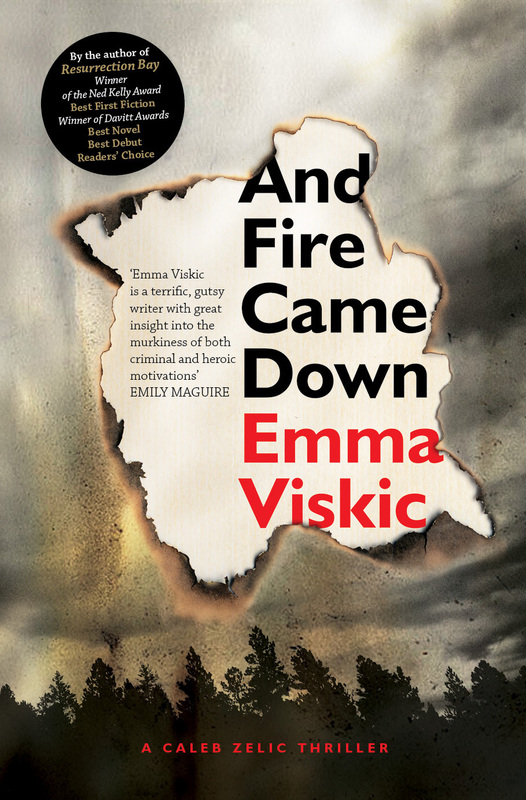 Having enjoyed ‘Resurrection Bay’ the earlier Caleb Zelic mystery, there’s an unexpected pleasure in finding the sequel ‘And the Fire Came Down’ is even better. Tighter. Keenly observed. And the character revelation is sustained across the whole story. Like Caleb’s dislike of using his hearing aids or admitting he misses crucial facts when his suspects mumble or turn away so he can’t lipread. The dialogue which flows in hilarious scenes is a delight, with sub-text. Definitely filmic material. With a plot twist at the end. I like the sustained humour in Viskic’s detailed observation of the deaf sleuth Caleb’s challenges. A few of the Auslan exchanges are funny, but laughing ‘with’ not ‘at’ the victims who try to communicate with Caleb, having been deliberately taught some inappropriate signing by brother Ant. Especially for the word police. The relationship between the two brothers is realistic, with understated acceptance of each others’ weaknesses. Viskic does relationships well. The ex-wife and artist Kat with her indigenous family connections is a strong and likeable character as is her doctor mother who looks after the community in a practical way. Older women like Aunty Eileen are pragmatic about dealing with the troubles of the youth of their community and the compromises which need to be made. Caleb is loyal and a romantic, but he gets ‘used’ at times. There’s lots of apparently pointless driving around based on hunches but also insights into country town prejudices and racial violence. Violence and poor diet is a strong part of the ‘hard-boiled’ detective tradition, even though Caleb is a new styled sleuth. I like his resourcefulness in solving problems in quirky ways. He notices ‘stuff’ which the reader thinks is inconsequential and then the writer uses that observation like the address labels to advance the plot or justify a later twist. The heat permeates the novel and links to the fire in the title. You get the feeling that Viskic has researched her communities well. No patronising of indigenous characters. The people of this book all have flaws. And the writer has managed to convey these with compassion but also a lot of fast action. A cast of keenly observed cameos of ordinary life. Often through Caleb’s eyes. I hope Caleb has health insurance in the next novel because he gets bashed up a lot. And he can’t expect his ex-mother-in-law to patch him up everytime.